This story is the second in a two-part series on media repression and “fake news” in Morocco. It was written in collaboration with Global Voices and is co-authored by Afef Abrougui and Emna Sayadi. You can read the first part here. 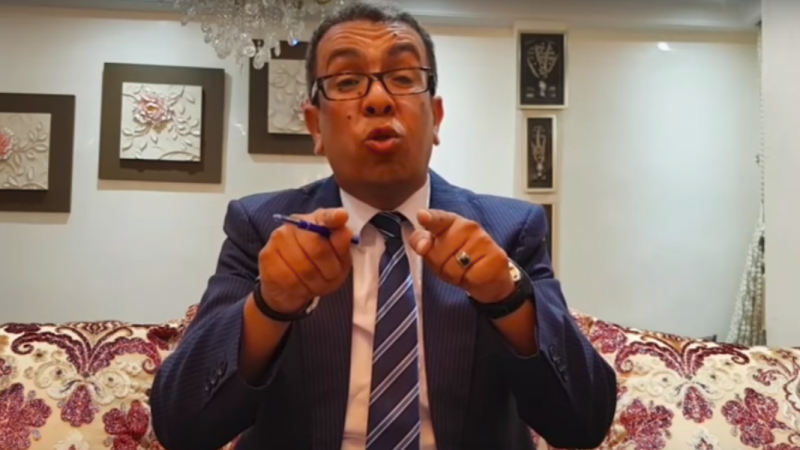 El Mahdaoui speaking in a video about the crackdown on protesters in El Hoceima. Source: Screenshot from a video uploaded on the journalist’s YouTube channel on June 28, 2017. But even for those journalists who are considered “professional,” legal protections are limited. While in 2016, the Moroccan parliament adopted a new press code that eliminated prison time as punishment, journalists and media can still be fined for “defaming” government ministers (article 81), foreign diplomats (article 82), and state institutions and public officials (article 84). In addition, journalists are still prosecuted and jailed under the penal code which includes provisions punishing by prison and/or fines those convicted of “causing harm” to Islam, the monarchy, or inciting activities that go against the country’s territorial integrity.